Imagine the stretch of the south coast of Elba Island, where there is a succession of small and large coves, where long time ago the monk seal rolled blissfully between the sea and the low coastal vegetation. 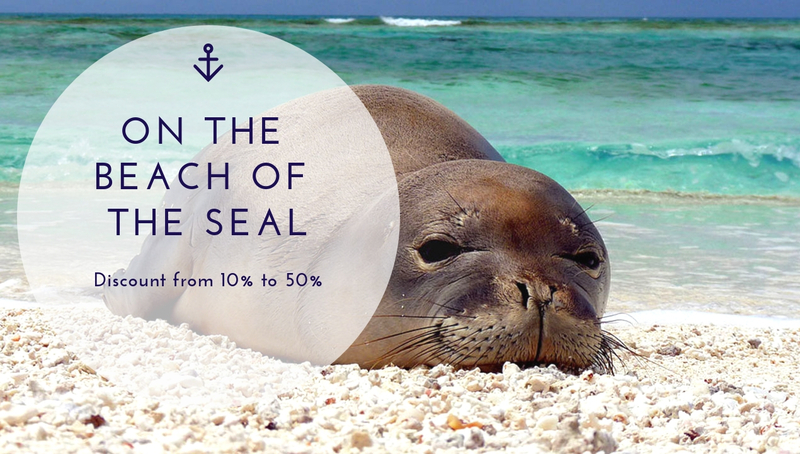 Imagine the warm sand of the beach that refreshes you in the spring after a bath in the warm waters, or the summer breeze that embraces you in its scent of sea, while you imitate the sweet doing nothing of the monk seal. In this paradise, if such a magical place can still be on our planet, we have a small complex of only five apartments, with spectacular views of fiery sunsets, surrounded by Mediterranean vegetation: peace, silence, you can walk to the sea in a few minutes on the delightful beach of Madonna delle Grazie, near a suggestive 16th century sanctuary. ===> Let me see the details of these apartments now! They are well kept apartments, outdoor space with a gazebo to enjoy all this wonder. And yet in this place, for years we had a problem! Almost all the guests have always been satisfied and sometimes also enthusiastic. This “almost” has always depended not on the characteristics or location of the apartments, but from a variable that we could not control: the road to get there, 800 meters of narrow, dirt and downhill road that for someone has been a problem. After years, today I can finally tell you that the road has been widened and paved. I do not deny that we lost reservations because of the negative reviews about this road. Now you can get to the apartments directly by car and park in the parking spaces next to the structure, it is very convenient! In addition you must know that the infamous road ends right at our apartments. This means that you will see only the cars of the few guests who have chosen this beautiful place for their vacation like you! I am more than certain that from this moment the reservations will be more and in the next weeks their availability will become less. Book now one of these apartments and you have immediately a discount on the list price from 10% to 50%. You read right: up to 50%! ===> Okay, let me know more precisely about this discount! »The ferry can book it with us at a super price agreement with the two most important and incomparable companies, we will send it with the other documents via email and you will not have to check in at the harbour. »At the arrival I will give you a gift: my guide about the flora of the Elba Island! A book of all illustrated 168 pages (not a promotional brochure!) that will make you want to visit Elba more than once a year! I "paved the way" for you in all possible ways, you just have to send an email or make a phone call to know the extent of the discount with which you can take the best holiday you can do this year on Elba Island!